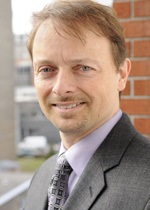 David Oliver is an Associate Professor of Management at HEC Montreal, Canada. He holds a PhD in management from the University of Lausanne, Switzerland. He teaches strategy and management skills to MBA and Executive audiences, and his research focuses in particular on organizational identity and its link to the practice of strategy in management teams. An experienced executive teacher, David has designed and delivered executive development programs on strategy both in Canada and internationally, including China, the Netherlands, Finland, Romania, and Tunisia. A Canadian citizen, David has also lived in Sweden, France, New Zealand and Switzerland. Prior to joining HEC Montreal, David was co-founder of the Swiss-based Imagination Lab Foundation, where he spent five years working with management teams to help them with their strategic thinking processes and with specific organizational challenges they were facing. At the same time, he also refined strategic thinking techniques involving 3D materials for use in exploring issues related to strategy, identity, and organizational preparedness. Some of these organizations included Microsoft, Orange UK, Tetra Pak, Banque Cantonale de Genève, Philip Morris, and the European Organization for Nuclear Research (CERN). Before joining the Imagination Lab, David conducted research in the areas of organizational change and complexity theory at the IMD business school in Lausanne, Switzerland. David’s research has appeared in leading journals including Organization Studies, British Journal of Management, Journal of Business Ethics, Journal of Organizational Change Management, Human Relations and the Financial Times, and he is co-author (with Johan Roos) of the book Striking a Balance: Complexity and Knowledge Landscapes (McGraw-Hill, 2000). David was awarded 1st prize in the 2009 Oikos Foundation Global Case Writing Competition. Oliver, David, Matt Statler & Johan Roos (2010) A meta-ethical perspective on organizational identity, Journal of Business Ethics, 94: 427-440. Sloan, Pamela & David Oliver (2009) Michelin's Strategic Partnership with Indigenous Peoples (A) The Basis for Partnership, International Journal of Case Studies in Management, 7(2), 1-12. Oliver, David & Johan Roos (2007) Beyond text : Constructing organizational identity multimodally, British Journal of Management, 18, 342-358. Oliver, David & Claus Jacobs (2007) Developing guiding principles: An organizational learning perspective, Journal of Organizational Change Management, 20(6) 813-828. Oliver, David & Johan Roos (2006) Creativité et identité organisationelle, Revue Française de Gestion, 32(161) 139-153. Oliver, David & Johan Roos. (2005) Decision making in high velocity environments: The importance of guiding principles, Organization Studies, 26(6) 889-913. Oliver, David, Johan Roos & Bart Victor (1999) Strategies for converging industries, Financial Times Mastering Information Management, Part 5: New Organizational Forms, March 1, 6-7. Statler, Matt & David Oliver (2008) Facilitating serious play. In Hodgkinson, G. and Starbuck, W. (eds) The Oxford Handbook on Organizational Decision-Making. Oxford: Oxford University Press, 475-494. Oliver, David & Johan Roos (2002) Dealing with surprises: Collaborating in an alliance team. In Contractor F. and Lorange, P. (eds) Cooperative strategies and alliances: What we know 15 years later. Amsterdam: Pergamon, 849-873. Oliver, David & Johan Roos (2000) Striking a balance: Complexity and knowledge landscapes, London: McGraw-Hill. Jacobs, Claus; David Oliver and Loizos Heracleous. Constructing organizational identity through embodied metaphors, presented at Academy of Management Annual Meeting, Anaheim, CA, 2008. Oliver, David and Matt Statler, A meta-ethical perspective on organizational identity, presented at Academy of Management Annual Meeting, Anaheim, CA, 2008. Oliver, David. Make or break: Strong team identity in a self-managed team, presented at European Academy of Management (EURAM), Ljubljana, Slovenia, 2008. Organizational identity and organizational culture: Some key distinctions, Symposium Chair, Academy of Management Annual Meeting, Honolulu, HI, USA, 2005. Oliver, David and Johan Roos, Dealing with surprises: Collaborating in an alliance team, presented at Academy of Management Annual Meeting, Denver, CO, 2002. Oliver, David, The impact of power differences on emergence in an a high-velocity organizational team, presented at 4th International Conference on Organizational Discourse, London, UK, 2000. Oliver, David, Uncovering external orientation: Intellectual capital profiles in US banking, presented at Academy of Management Annual Meeting, Chicago, IL, USA 1999. Oliver, David, Johan Roos & Bart Victor , A new business in the LEGO group: LEGO MINDSTORMS, IMD Case Study, GM864, 2000. Reprinted in De Wit, Bob and Ron Meyer (2003) Strategy: Process, Context, Context, 3rd ed (forthcoming), London: Thomson Learning. Oliver, David & Johan Roos, Skandia Future Centers: Charting a course for the future, IMD Case Study, GM625, 1998; and Oliver, David, Donald A. Marchand, & Johan Roos, Skandia Assurance and Financial Services: Measuring and visualizing intellectual capital, IMD Case Study, GM624, 1998. Oliver, David & Donald A. Marchand, Hewlett-Packard: Competing with a global IT infrastructure, IMD Case Study, GM653, 1997; and Oliver, David & Donald A. Marchand, Hewlett-Packard Europe: RAPID development of a retail planning system with Cambridge Technology Partners, IMD Case Study and Teaching Note, GM652, 1996. Oliver, David & Paul Strebel, Ljubljanska Banka: From crisis to opportunity, IMD Case Series, GM 636, 637, 638, 1996. This case series, teaching note, and video were awarded the European Case of the Year prize by the European Federation of Management Development in the category Transition Management in East and Central Europe (1996), as well as first prize by the Central and Eastern European Management Development Association (1995).